Skorsa: The Riddle of the Earth is harpist and singer Susan Grace Bates’ eagerly awaited debut album. The album contains an eclectic mix of traditional and contemporary tunes from Ireland and Scotland, alongside newly composed songs and melodies that Susan has collected on her travels in Scandinavia. Producers John McSherry (At First Light, Lúnasa, Coolfin, The Olllam) and Dónal O’Connor (At First Light, Lá Lugh), recognised masters in the traditional field, have brought their finely honed artistry and musicianship to this subtle, eloquent and colourful record. Joining Susan on the album are some of the finest musicians in the Celtic world including Ross Martin (Daimh), David Foley (Rura) and Pauline Scanlon (Lumiere). 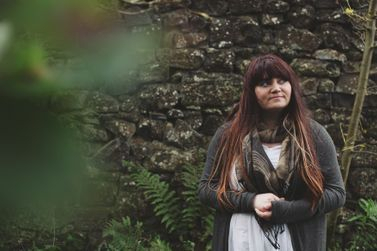 It's no coincidence that Susan's music has been compared to a diverse mix of artists such as Kate Bush, Loreena McKennitt, Nick Drake and one of her mentors Corrina Hewat. This beautifully crafted album from a unique, charming and adventurous new artist will leave you enraptured, beguiled and wishing for more. Born in Co. Antrim, the Irish multi-instrumentalist Susan Grace Bates started fiddle and singing lessons at eight years old. Her love of traditional music soared when she started playing the harp at the age of eleven. The start of her performing career came at a young age when a family friend, Leith Burgess, asked her to play a concert for him after hearing her play at her grandparents’ house. By performing all over Ireland, she soon became recognisable by her elegant and meticulous playing. Susan’s audiences have been extremely varied, playing to thousands and even for the Irish President on several occasions. 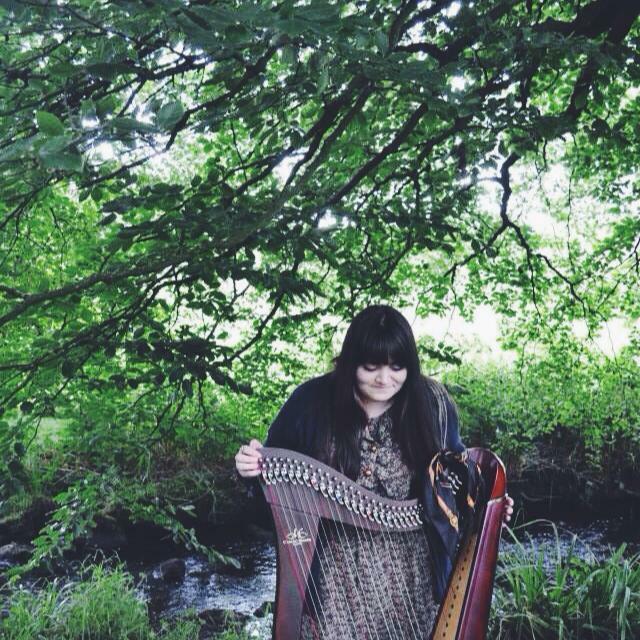 Surrounded by rich traditional music, she excelled in her playing on many levels, gaining grade eight with honours in Irish traditional harp at the age of sixteen. 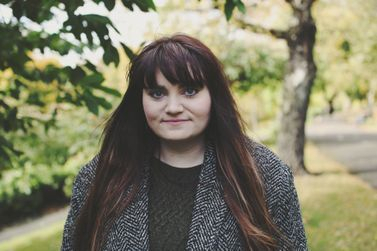 Susan has recently graduated from the prestigious Royal Conservatoire of Scotland in Glasgow. 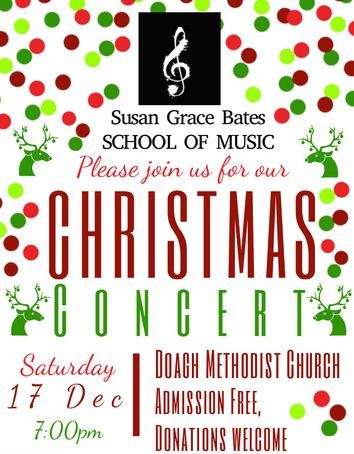 Susan Grace Bates School of Music first concert! Extremely happy to have gotten the news that my album is no. 1 in Japan's Top 10 Chart, courtesy of Tambourine music store. 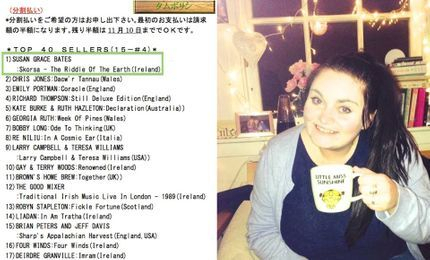 It's a lovely feeling to know that there are people on the other side of the world who are enjoying my music. While doing a spot of shopping in Belfast, I was mightily chuffed to discover Premier Records Belfast had ranted my album at no. 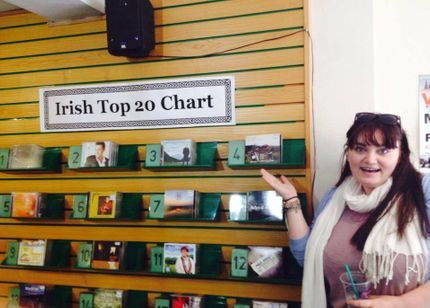 4 in the Irish Charts! 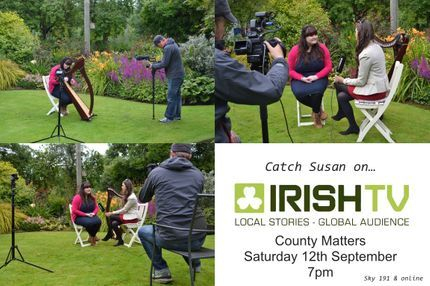 I was asked to play a few tunes and have a chat for Irish TV and their programme County Matters. 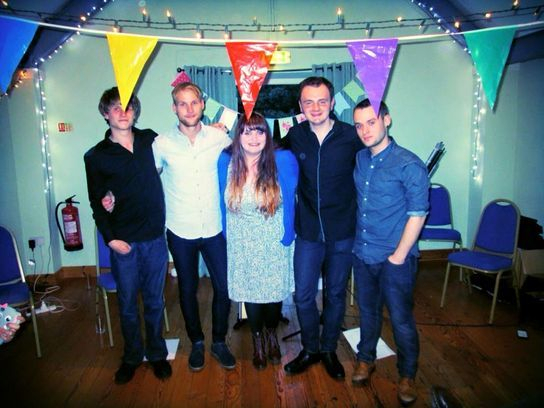 We recorded in the beautiful setting got Ballyrobert Cottage Gardens on a lovely sunny day. It was a great experience for me and I was chuffed to have been asked! 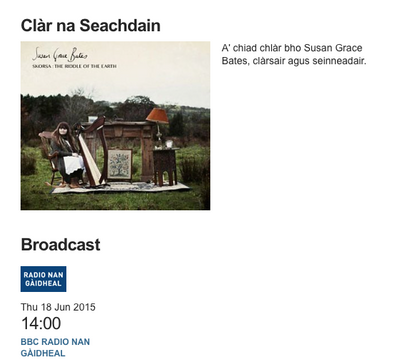 I’m delighted that the album is getting extensive airplays on BBC, RTE and RnaG radios throughout the UK and Ireland. RTE Lyric FM’s Carl Cocoran even opened his show ‘The Blue of the Night’ with a track, ‘Norr Wee Gin’, from my album. Everyone is saying lovely things on the album! I hope they keep coming! 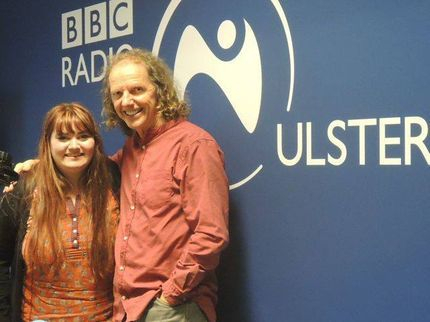 I went into the studio to have a chat and a tune with Colum Sands. When I was younger and just starting out as a musician, I attended a workshop given by Colum. He told us something that always stuck in my mind and possibly the most influential advice I’ve ever been given. Read in my blog HERE. I had my home launch of the album on the 1st of July in a converted barn called Breckenhill near my home in the Antrim hills. It was the idyllic setting for this heartfelt event. The room was packed with both friends and strangers who were soon to be friends. The boys arrived from Glasgow that morning and they soon got acquainted with the Irish countryside (and local produce). On this occasion I was joined by Luc Daniel McNally (guitar), Ewan Baird (bodhran), Eddie Seaman (whistles) and Pablo Laufente (fiddle). Eddie and Luc provided the support for the evening and got the eager crowd warmed up. The atmosphere was delightful and there was a strong homely feel throughout the evening. Two very special guests joined me. Father Eugene O’Hagan of The Priests graced us with his presence and sung a duet with myself. What an honour. Local poet and good friend Leith Burgess recited some of his poems. Everyone always enjoys hearing Leith’s witty and insightful contributions. The sun was shining, the cockerels were crowing late into the night and we had an absolute blast! I was absolutely delighted to receive the news that Skorsa: The Riddle of the Earth was Album of the Week on BBC Radio Nan Gàidheal's Caithream Ciùil. It is such an honour and a delight to be played alongside incredible musicians such as Liz Carroll, Eithne Ní Uallacháin, Cara Dillon Kris Drever & Karen Casey, to name a few. The Old Hairdresser’s is one of my favourite venues in Glasgow and that is where I decided to have my pre-release. The official release date is the 8th of June, however I wanted to give folk a taster of what was to come. I was lucky enough to have my good friend Eric Linklater of Orkney (fiddle) as support on the night, along with Luc Daniel McNally (guitar) and Ewan Baird (bodhran). They played a fierce set of tunes and got the crowd warmed up for the main act. The band, on this occasion, consisted of Eric Linklater (fiddle), Eddie Seaman (whistles), Luc Daniel McNally (guitar) and Ewan Baird (bodhran). 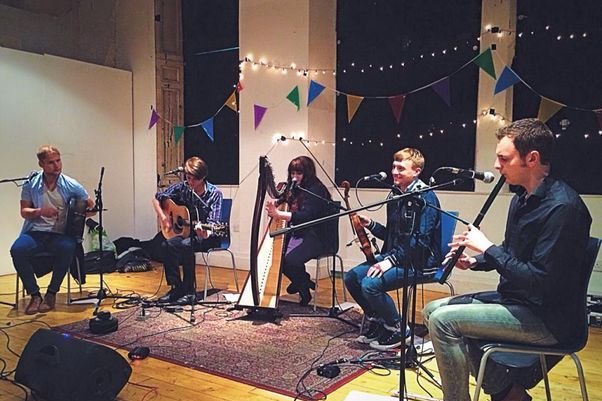 It was great craic playing with these guys and I can’t wait to play with them again in the near future. We had a lovely session to follow with some of my wonderful friends joining in. The evening went exceptionally well, receiving great feedback from the lively audience. Here’s to the next launch!